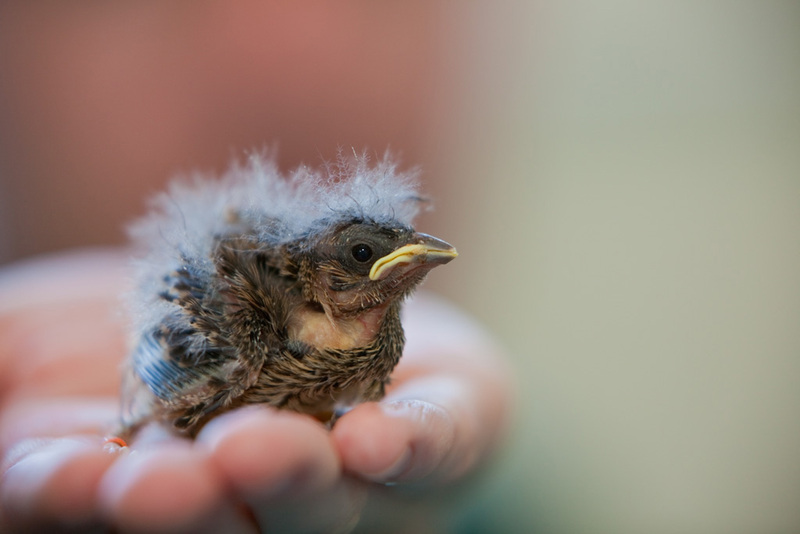 The Cirl Bunting Reintroduction Project – a partnership project between the RSPB, Natural England (NE), the National Trust and Paignton Zoo, with assistance from the Zoological Society of London – began in 2006. 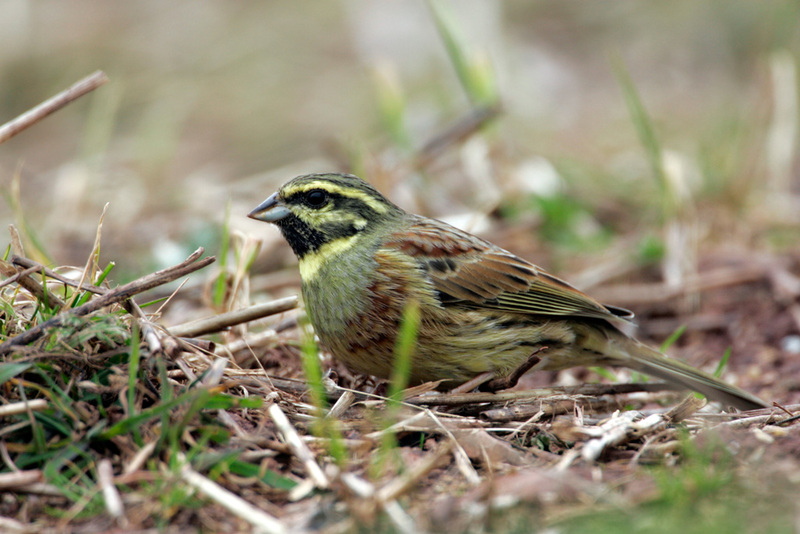 The aim of the project is to re-establish a self-sustaining population of cirl buntings on the Roseland Peninsula in south Cornwall, by taking chicks (under license from NE) from nests in healthy populations in south Devon, and translocating them to the site in south Cornwall. 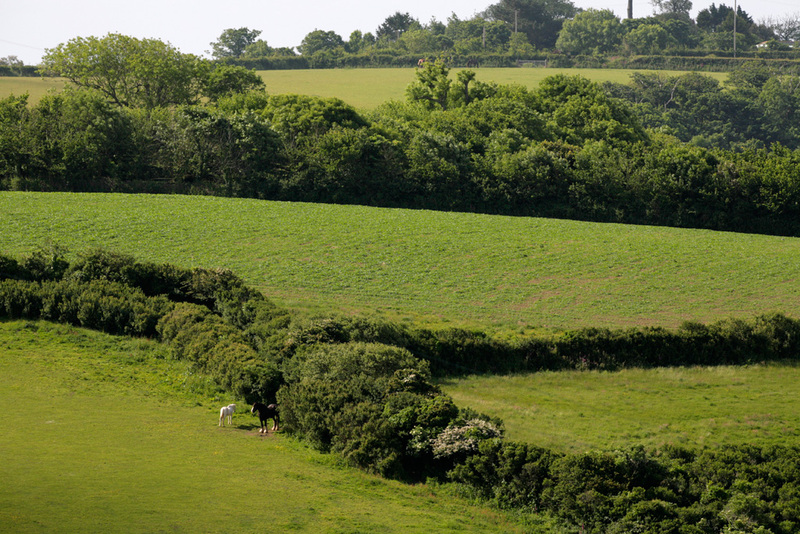 Here they have been hand-reared by aviculturalists from Paignton Zoo, and released into an area of suitable farmland habitat. Though reintroductions of other bird species, as well as other forms of wildlife, have been successfully undertaken in the UK and further afield, the reintroduction of a small, song bird like the cirl bunting had not been attempted before in Europe. The first batch of young birds was released in 2006, and releases continued for a total of six years, until 2011. Throughout the project all the birds have been monitored by the field team – a process aided by the fact that all the hand-reared birds have been fitted with a unique combination of coloured leg-rings. This has allowed a great deal of information to be acquired relating to many aspects of the birds’ life histories, e.g. their seasonal movements, habitat selection, breeding ecology and longevity. 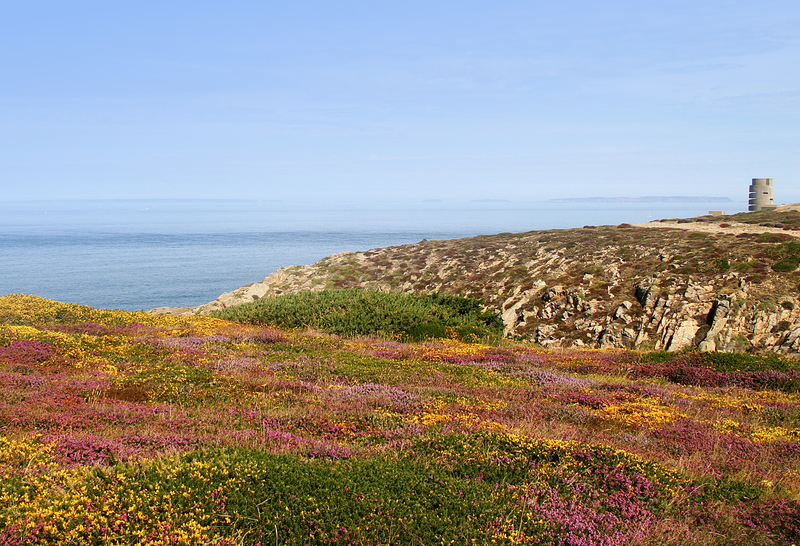 We have learnt that, just like in Devon, the Cornish birds do not wander far, choosing to settle in an area that, crucially, contains all their year-round requirements i.e. weedy stubbles to forage for seeds in the winter, thick hedgerows where nests can be located away from disturbance and extensive grasslands rich in variety and abundance of insects to feed chicks in the summer. Thanks to the willingness of the local farming community to adopt Environmental Stewardship, in the form of Higher Level Stewardship (HLS), more of this preferred habitat mosaic exists on the peninsula than it did just a few years ago. During the breeding season pairs are usually faithful, though we have recorded several instances of polygyny – one male breeding with two (even three!) females simultaneously – whilst ‘divorce’ – with partners from a pair splitting and re-pairing with different partners – is novel behaviour that has been recorded. 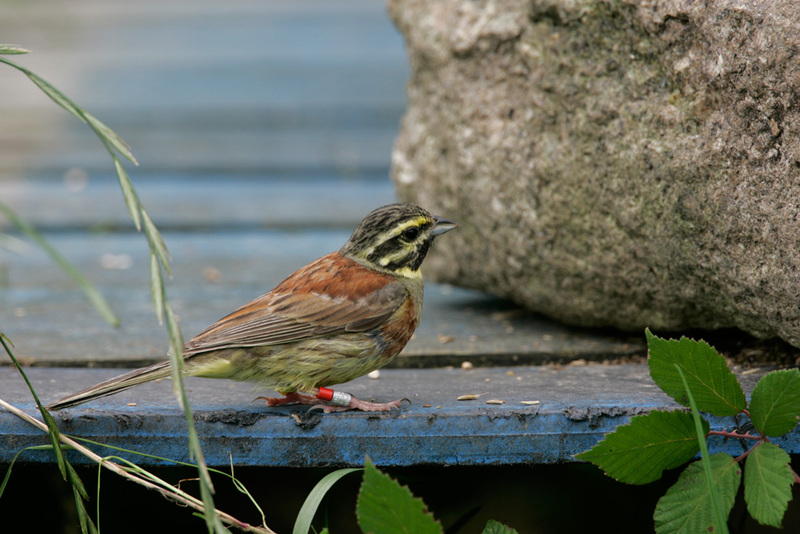 Though cirl buntings are relatively short-lived, with 2-3 years being typical, the oldest known colour-ringed bird so far, died just one month short of his fifth birthday. We are hopeful that there are still a few remaining ringed individuals that stand a chance of exceeding that lifespan. Following the first recorded breeding of the reintroduced birds in 2007, the population has been steadily increasing, both as a result of further releases, and due to productivity in the breeding population. Despite some poor summers, which have limited breeding success, the population exceeded its target level of 30 pairs in 2012, with 44 pairs recorded. However, the exceptionally wet summer of that year resulted in very low productivity, resulting in a decline in the population the following year. Fortunately, the following two summers have been a vast improvement and the population has responded well. Last year 39 pairs raised well over 100 fledged young – the highest number in any year by far – and we are optimistic that 50 breeding pairs is a realistic possibility this year – a great milestone to reach in the tenth year of the project and one step further forward in establishing this bird back in the Cornish landscape. The success so far shown from this project is a great example of team work – where various different individuals and organisations have worked collaboratively. 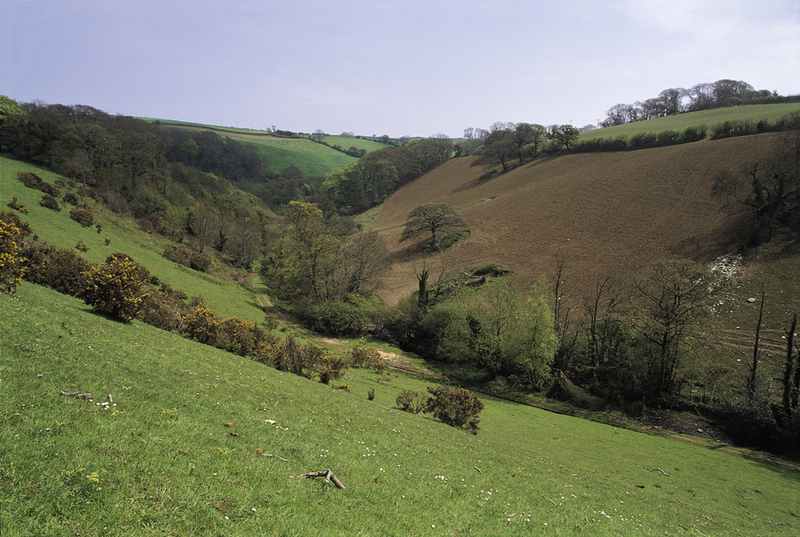 We would like to thank all those who have supported the project over the years, in particular the farmers who have given us access to their land, which has enabled us to monitor the expanding population – without their support this project would not have worked.